Looking for a Keystone RV Mattress? Search No More! Replacing a Keystone RV mattress for a bed or sleeper sofa may seem like a difficult problem, but we have the simple solution. We can replace any mattress, regardless of its size, and ordering is easy through our online store. See our Keystone models below. Our mattresses fit in Cougar, Montana, Outback and other Keystone models. Because the dimensions of queen-size, king-size and bunk beds vary among recreational-vehicle floor plans; and because sleeper sofa sizes differ; it’s best if you measure the metal bed frame or sofa bed mechanism. Measuring the mattress that you want to replace may not be accurate. The bed frame measurement is much more critical. A mattress made for a 50-by-65-inch bed frame, for example, will not properly fit on a smaller or larger frame. To determine the correct size, measure the width of the bed frame between the two outermost parallel supports. If a measurement includes a fraction, then round it downward. For example, 50 1/2 inches rounds down to 50 inches. A high-density polyurethane foam mattress offers the best quality for the price when compared to latex and innerspring. An additional benefit of foam is that it is rolled for shipping, making it easier than an innerspring to get it into your Keystone. We offer models with two thicknesses. Our 5-inch model is ideal as an RV bunk bed mattress. If you prefer a thicker 8-inch ones, we have two different models available. One is only high-density polyurethane foam (Princess model), but the plusher option includes a 2 1/2-inch cushion of luxurious memory foam on polyurethane foam base (Empress model). All our products are manufactured with high-density foam (1.8 pounds of density per cubic foot), for lasting quality and support. The cover or ticking we use is quilted damask on its sleeping side and we provide a non-skid material on the opposite side. Our Keystone RV mattress options extend to the corners. Rectangular corners and cut corners (one cut corner or symmetrical cut corners) are simple to select and order using our online shop. If you need a replacement mattress with radius corners, or have a similar special request, then please call us at our toll-free number, 888-889-2812, or email us at sales@replacement-mattress.com. Besides the right length and width for a sleeper sofa mattress, having the right thickness is essential, as it must be thin enough to fit doubled-up inside the mechanism. With your current mattress in place, fold your sleeper sofa’s frame to close it part way, and then measure the space between the frame sections at the point where the mattress folds or bends. Your new replacement cannot be more than one-half of that measurement. Sleeper sofa mattresses are commonly 4 or 5 inches thick. 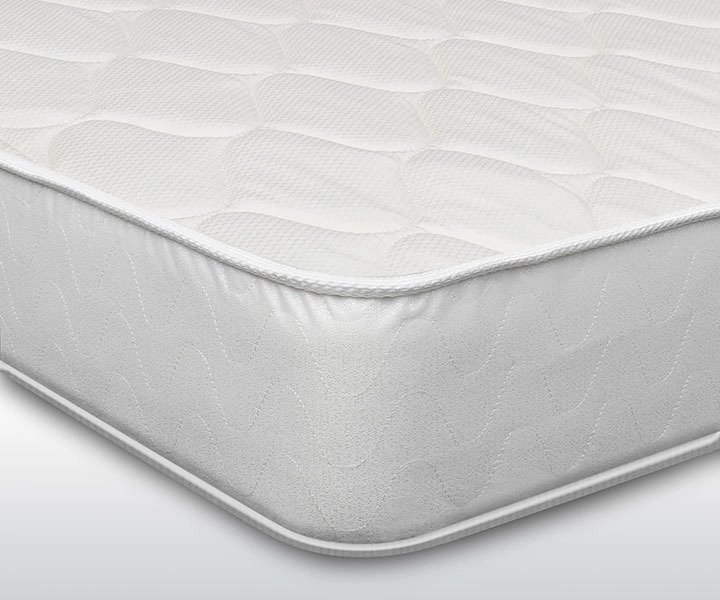 Our versions are made of the same high-density polyurethane foam and have a non-quilted covering that helps to prevent shifting and other issues. We don’t offer memory foam sofa bed mattresses (we explained why in detail here), as including a memory foam layer in a 4 or 5-inch mattress would not allow its polyurethane foam portion to be deep enough to provide adequate support. 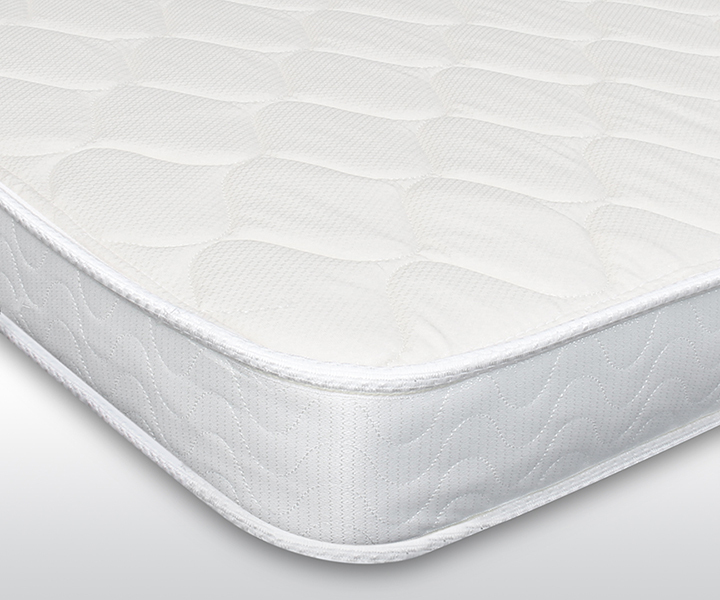 If you desire a more plusher feel, we recommend using topper pads made of memory foam. Have any other questions related to your replacement Keystone RV mattress? We are at your disposal! Call us, email us or leave a comment below. Looking for queen mattress issued with 2012 Passport 195RB. Mattress was not very thin but was lightweight enough to make it easy to lift bed to access storage area under the bed. The Countess (https://www.replacement-mattress.com/products-page/rv-mattress/countess-trailer-mattress-5/) is definitely the lightest of our models, but if you let us know the approximate weight of the current mattress and the size, we will be able to let you know if any of our other models would work as well. Thank you. I have a 2017 keytstone Hideout LHS21. It has a murphy bed so the mattress folds up. Do you have a folding 8 inch memeory foam mattress? Hi Donna, thank you for reaching out. We contacted the manufacturer to get the specifications on the mattress height, as we’re not sure it will accept an 8″ mattress. We’re waiting on a response from a representative that can answer questions about the murphy bed We’ll keep you updated. Hi Donna, we’ve sent you an email. We’re waiting for your response. Have a lovely day! I have a 2015 keystone 3850fl. Which mattresses will fit the bed, and the fold out couch? Richard, we recommend opting for an RV mattress for the bed – see our three RV mattress models here: https://www.replacement-mattress.com/products-page/rv-mattress/. For the fold our couch a sofa bed mattress is the best option – see our models at the following link: https://www.replacement-mattress.com/products-page/sofa-bed-mattresses/. You can purchase any size of any of our models online; in order to find out what size you have to order you will have to measure the frame of the bed and the fold out couch (for instructions refer to this link for fold out couches: https://www.replacement-mattress.com/sofa-bed-mattress-faq/#how-to-measure and this one for RV mattresses: https://www.replacement-mattress.com/rv-mattress-faq/#how-to-measure). If you have any questions at all or need additional details please call our toll free number (888) 889-2812, in order for our staff to be able to help you out in a timely manner. I am looking for a queen size folding mattress for the 2005 keystone zeppelin 2 travel trailer. Any recommendations? I am also looking for all 4 cushions for the dinette seats. For folding mattresses check our our Gold and Platinum versions here: https://www.replacement-mattress.com/products-page/sofa-bed-mattresses/, for dinette seats, we’ll get back to you via email, Charles. Have an awesome day!